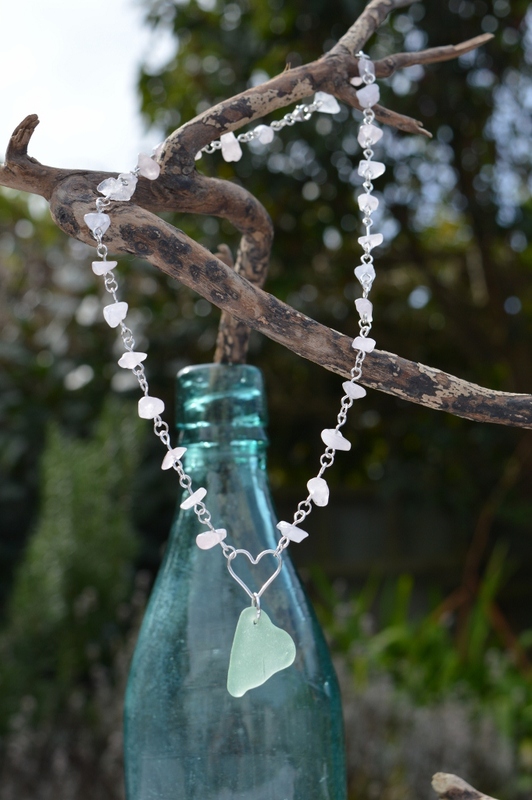 A pretty heart-shaped piece of Sea Foam sea glass, dangling from a sterling silver heart on a chain of Rose Quartz chips. 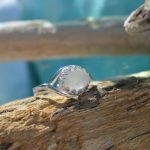 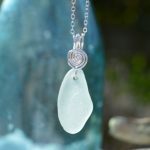 The piece of sea glass is approximately 2.5cm long and 2cm wide. 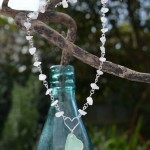 There are 30 rose quartz chipped beads making up the chain, which is 44cm long. 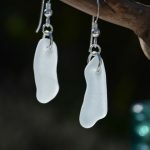 Matching earrings are also available. 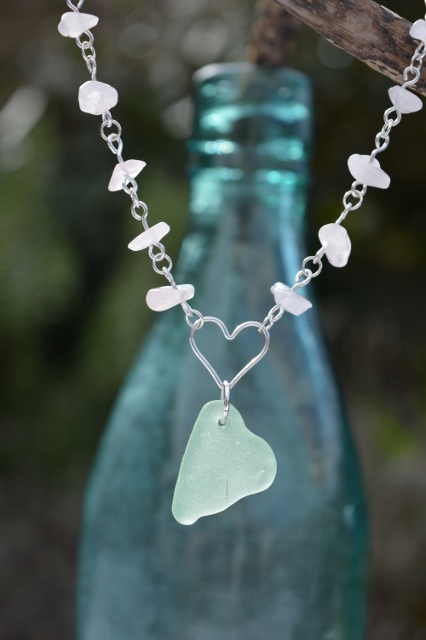 Please look for product details by clicking on “sea foam sea glass” below…. 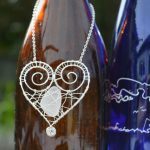 Copyright © 2019 Tumbled Treasure.